Orangetree is a community located in the City of Irvine. It is located south of Irvine Center Drive, west of Valley Oak Drive and north of Barranca parkway. It offers a combination of detached and attached single family homes. This is a relatively small neighborhood comprising of approximately 1,360 residents with five affordable home tracts that mostly consist of condominiums style homes. One bedrooms currently start from approximately $300,000 which is one of the lowest price properties in the entire Irvine area. The Orangetree community offers many amenities for its' residents which include six tennis courts, basketball court at the Orangetree Park and two association swimming pools for families to enjoy that are within walking distance to the Oak Creek Golf Course. The schools are Orangetree Elementary School, Orangetree Middle School, Irvine High School and Irvine Valley College. The Orangetree Master Homeowner's Association is managed by Seabreeze Management which can be reached at 949-855-1800. There are also four sub-associations assigned to this Orangtree community for each home tract. 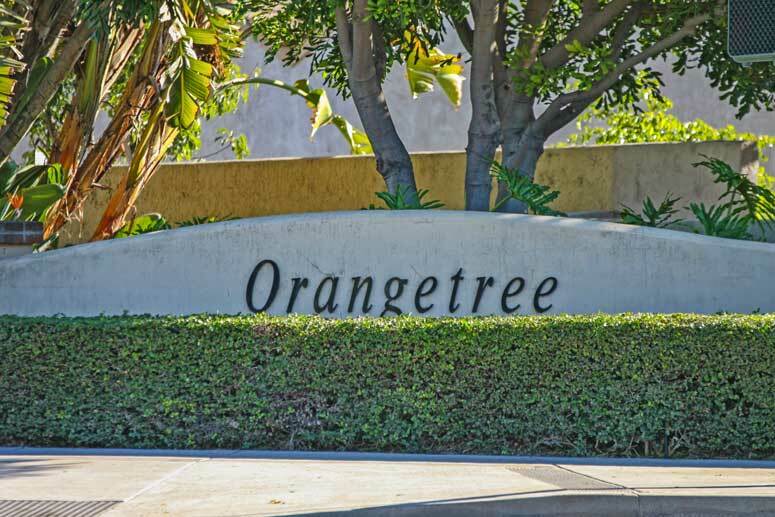 So if you are looking for most affordable house or condo to buy or lease at Orangetree in Irvine then, please, have a look around, and contact us with any questions you might have about Orangetree. No question is too mundane - we want to help!